Hard Water Sports has ice climbing gear to available for daily and extended rental. Get outfitted for ice climbing with crampons, climbing boots, and ice tools. We have technical ice gear from the best names in the business, Black Diamond ice tools and crampons, Petzl Nomic ice axes, Grivel axes and crampons, boots from La Sportiva and Vasque . Super convenient location, we are located right in downtown Sandstone, Minnesota. 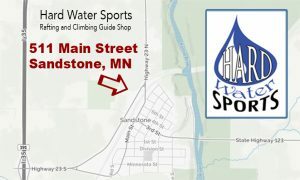 (2 minutes from the ice park) Hard Water Sports has a small gear rental business located 511 Main Street in downtown Sandstone, MN. We have a limited supply of equipment, please call ahead to reserve gear. Visit the new gear shop in Sandstone, Minnesota. 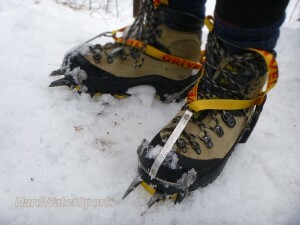 crampon rental, ice axe rental, Ice climbing, minnesota ice climbing. Bookmark.